We’re so excited to have Blue Buffalo as a partner with the Remember Me Thursday® campaign! This year, Blue Buffalo has generously provided 3,000 pounds of food for the favorite shelters of the #RememberMeThursday Challenge winners. 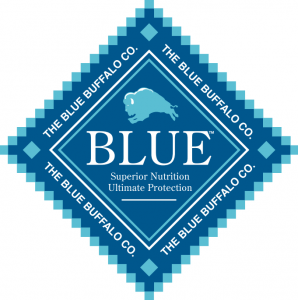 Thank you Blue Buffalo for all your support! “Love them like family, feed them like family.” Everything at Blue Buffalo starts with this simple idea which is why Helen Woodward Animal Center is proud to partner with this outstanding company. The Center and Blue Buffalo have teamed up to save lives and change the future of animal welfare. We share a common belief that dogs and cats, whether in your home or here at our Center, are family members and deserve healthy food, made with natural ingredients. The Bishop family’s love for their Airedale, Blue, and his history of health problems prompted them to take a serious interest in a wide range of pet health issues, and ultimately inspired them to make a commercially available food that would include ingredients to nourish our companions. Only BLUE dry dog and cat foods contain LifeSource Bits®, a precise blend of nutrients and antioxidants that have been cold–formed for greater potency. LifeSource Bits help pets maintain a healthy oxidative balance, support pets’ immune systems and provide support for life stage requirements. Lastly, and of equal importance, BLUE dog and cat foods contain no chicken or poultry by-product meals, and no artificial preservatives, colors or flavors. And BLUE dog and cat foods contain no corn, wheat or soy, and are available for pets of all breeds, sizes and dietary needs. We are honored that Blue Buffalo has chosen Helen Woodward Animal Center as its partner in our life-saving efforts and we are deeply appreciative of their ongoing support of all of the Center’s events and in particular key international awareness programs like Remember Me Thursday and Home 4 the Holidays.